Our NATUREHOME salad cutlery is made of massive olive tree wood and impresses through its extraordinary, pretty wood grain and its resistance to odors, flavors and moisture. 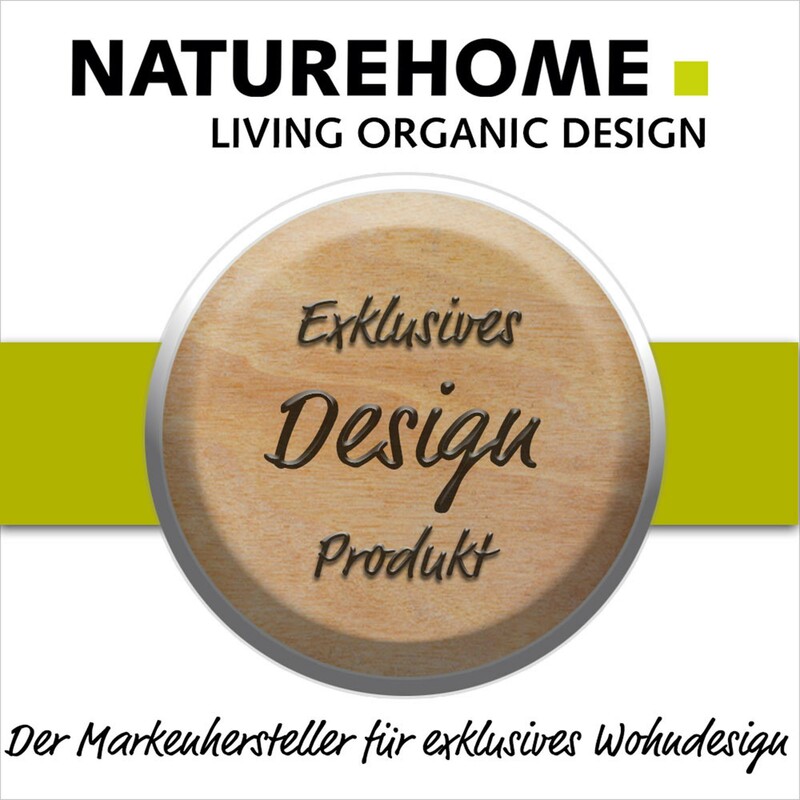 It is handmade and guaranteed no mass product and convinces through premium quality. 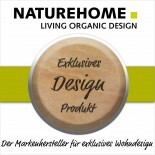 Thanks to the distinct grain of the olive wood, every NATUREHOME olive wooden salad cutlery is a real individual item. Since olive wood grows very slowly, it has a enormously high density so that it does not take on odors, paint nor moisture. In delicious salad dressing it feels especially well, of course. 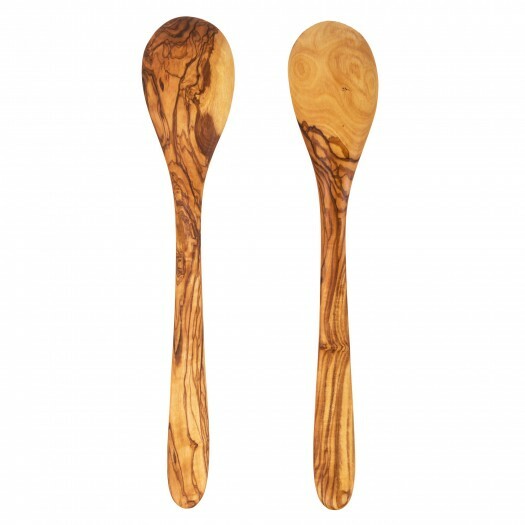 Our salad cutlery that is simple regarding its shape and absolutely unique regarding its grain livens things up. The slender handles lie well in the hands.Furthermore, the firm wooden cutlery is very long-lasting and scratchproof. Absolutely untreated, partially ground and refined by olive oil only, it is hygienic kitchenware since it does not take on germs and it is easily cleaned with lukewarm water and some dish detergent only.As Mediterranean decoration it will awake memories of the vacations in the home kitchen. 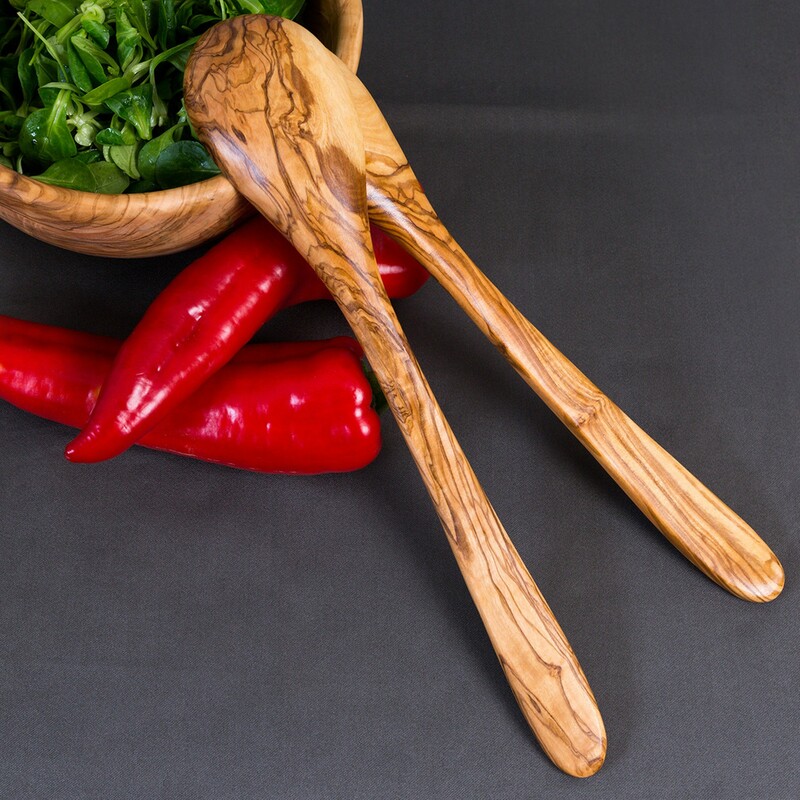 Handcrafted and tenderly packaged, it is also a high quality gift that most certainly brings joy.Our olive wooden utensils are produced only of the parts of the precious olive tree that do not bear fruit anymore. That is the reason why they are so ecological and a part of genuine nature without contaminates.Measurements: 30 cmCare instructions: Do not put olive wooden products into the dishwasher. Preferably, sluice it with a soft sponge or cloth with a protecting cleaner and lukewarm water (water that is too hot can lead to scratches). Afterwards, wipe it, do not let it drain, and slather it with some olive oil. In doing so, the wood does not dry out and the characteristic grain and the amber color of the wood get maintained.